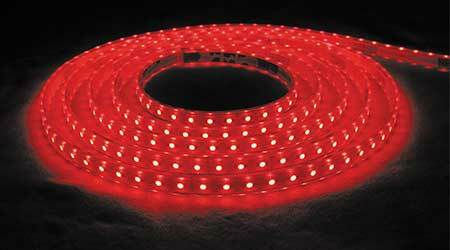 SMD5050 LEDs deliver 274 lumens per foot and are encased in an ultraviolet-resistant, flexible PVC housing. The lights deliver 3.6 watts per feet or less and are dimmable with 0-10 V dimming drivers. With an IP65, IP68 or optional IP68 submersible rating, the lights can be installed as a solid run up to 65 feet for large indoor or outdoor applications.